On a recent plane ride for a short family vacation I sat beside a retired nurse. The usual plane-conversation ensued and they asked me what I did. When I said I am a dietitian, they excitedly told me about a family member who was cured of their celiac disease by electrotherapy resulting in the elimination of “parasites that cause celiac disease”. They also used it on the parasites in their grand daughter’s ovaries and now her dysmenorrhea was also cured. Did I know that most disease has a parasitical root? This was followed mere hours later with a conversation with a friend challenging me about homeopathy. “What’s your problem – while it might not work, homeopathy doesn’t do any harm”. In the airport, on my way home, my Twitter feed was afire with the GOOP/Dr Jen Gunter exchange. 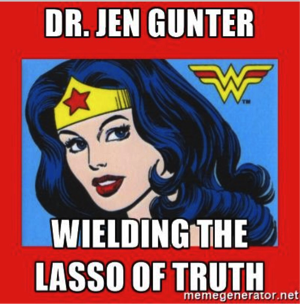 Dr Jen earned Wonder Woman memes (see below) for challenging GOOP’s misinformation and dubious products. The work I do with Dietitians of Canada and the PEN System requires me to evaluate evidence and sometimes challenge recommendations or opinions. I am constantly reflecting on the best strategies to do this both for my work and in my personal exchanges with family and others. Different situations may call for different strategies. If something is clearly “bunk” or nonsense, I think we need to simply and clearly state the truth. Tim Caulfield and Dr Gunter do this really effectively, often on a daily basis. Keep in mind that a “simple” myth is easier to hang on to than an overly complex explanation of the truth. We need to practice converting our complex knowledge of science, nutrition and biochemistry into clear, relatable facts to bust the myths out there. This is hard, and paraphrasing Brandolini’s law: the amount of energy needed to refute nonsense is an order of magnitude bigger than that needed to produce it. Be critical of weak evidence no matter which side of a debate it supports. Be curious, and open to good quality evidence even if it doesn’t support your belief. Knowledge changes as new evidence emerges. Try to explain why you believe in something, not just why the other person is wrong. This article by Nicole Letourneau highlighted the importance of using an evidenced-based approach in those situations. In her article entitled ”Public health at risk when opinion trumps evidence”, she reminds us that good policy relies on good evidence and evidence-based practice encourages us to also consider the context that the evidence will be applied in and to respect patient values. If you are looking for something interesting to listen to on your next walk or gym workout listen to: Truth and Lies from the TED Radio Hour. So what did I respond to my recent scenarios? Well, to my seatmate, I stated up front that I was skeptical of the theory that suggested most diseases result from parasites. I tried to build on their nursing background to discuss how our immune system works, mentioned a couple of diseases that don’t have parasites as a cause (melanoma, macular degeneration) and had a lively conversation about how the placebo effect can make you think the intervention you just paid for “cured you”. For my friend who was supporting homeopathy, I explained that there was no science behind homeopathy. And that yes, it can cause significant harm if it is used to treat a serious disease instead of a proven therapy. I explained to her that I’m not so worried about the risk of using homeopathy to treat a wart, but what if it is used to treat a high fever in an infant. As a mother herself, the example was relatable for her. I don’t think I changed the mind of my seatmate, but I know I made an impact on my friend. I’ll take a 50% success rate for now and keep honing my skills at using critical thinking and evidence to bust the nutrition myths when I come across them. …all this and more in PEN eNews 7(2)! Is the nutrition facts/information panel an effective means of communicating nutrition information to consumers? To what extent do consumers want, understand and use nutrient content and health claims on packaged food products? Why are disordered eating behaviours and eating disorders more prevalent among individuals with type 1 diabetes than their non-diabetic peers? Do individuals with type 1 diabetes with an eating disorder or disordered eating have an earlier onset of diabetes complications? What is the optimal treatment for adolescent females with type 1 diabetes and eating disorders? Is creatine supplementation effective for improving muscular strength or function in individuals with muscle disorders (myopathies)? Are males susceptible to eating disorders and, if so, does this vary from eating disorders among females? What are the indications and contraindications for feeding term infants and/or toddlers a lactose-free formula? Are front-of-package (FOP) and point-of-purchase (POP) grocery store food labelling systems effective means of communicating nutrition information to consumers and influencing diet? What is the optimal treatment strategy for individuals with type 2 diabetes and eating disorders? Should commercially available chocolate or cocoa products be recommended to healthy adults to reduce the risk of cardiovascular disease (CVD)? Should adults with malnutrition or at risk of malnutrition be recommended nutrition intervention in hospital? Is modifying the organization of nutrition care in hospitals (e.g. to include nutrition protocols, nutrition care teams) recommended for the prevention and treatment of malnutrition in adults? Are interventions to decrease dietary cholesterol intake (e.g. restricting eggs) recommended for the secondary prevention of cardiovascular disease (CVD)? Are interventions to decrease dietary cholesterol intake (e.g. restricting eggs) recommended for the primary prevention of cardiovascular disease (CVD)? Are there specific characteristics of male athletes that may increase their risk of disordered eating? What are some characteristics or behaviors in males that may contribute to the risk of developing eating disorder, or worsen disordered eating behaviors? Does dysphagia assessment and management fall within a dietitian’s scope of practice? 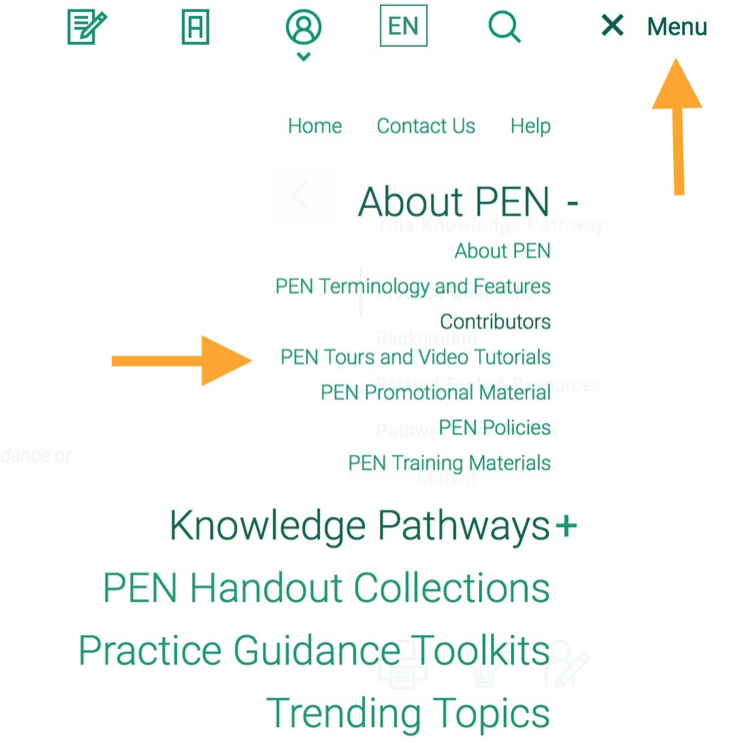 How do I… find PES Statements in PEN® Practice Guidance Toolkits? Participants from focus groups held at the Dietitians of Canada conference in colourful St. John’s Newfoundland, Canada found the Nutrition Care Process (NCP) sections within PEN Toolkits useful, especially the Nutrition Diagnosis section that contains examples of PES (problem, etiology, signs & symptoms) statements. The NCP is a framework that follows NCP terminology developed by the Academy of Nutrition and Dietetics (AND). It is used to improve the consistency, communication, coordination and quality of nutrition care, along with the predictability of the nutrition care outcomes (1). PEN toolkits (2) contain the same sections that are found in the NCP: Nutrition Assessment; Nutrition Diagnosis; Nutrition Intervention; and Nutrition Monitoring and Evaluation. In addition, toolkits contain client education materials and clinical guidelines sections. A PES statement, or a nutrition diagnosis statement, is a sentence describing the specific nutrition problem, its cause(s), and the evidence or proof of the problem (3). Statements are generally written as: The problem (i.e. swallowing difficulty), ‘is related to’ an etiology (i.e. a stroke) ‘as evidenced by’ specific signs and symptoms (i.e. coughing after drinking water from a cup). PES Statement: Inadequate fluid intake, related to dislike of water, as evidenced by recurrence of calcium oxalate stone. 2. Listing of Practice Guidance Toolkits in the PEN System. A PEN Community member recently flagged a journal on our LinkedIn platform that prompted us to investigate and reflect on predatory journals. prey on researchers and trainees to submit manuscripts through aggressive marke ting campaigns (1). Unlike legitimate journals, they send out mass email messages offering ”rapid peer-review” and publication, but without adhering to scholarly publishing standards or external peer review (2). Most of these “journals” (essentially websites) are in low and middle-income countries (but often use addresses in the US and UK), and confuse readers by creating journal and publisher names / logos that are very similar to legitimate journals. They may claim to be indexed, but are not indexed in any legitimate electronic databases (such as PubMed). The World Association of Medical Editors (WAME) has issued a statement against predatory or pseudo-journals that publish open access papers for a fee paid by the author, but without regard to the scientific quality of these papers (1). For several years, Jeffrey Beall from the University of Colorado Denver, compiled annual lists of “potential, possible, or probable” predatory publishers, with almost 1300 predatory journals listed in January 2017 (3)! The list is no longer being kept. Beall shut down the blog in January 2017 due to pressure from the university where he was employed and fear of losing his job (4). 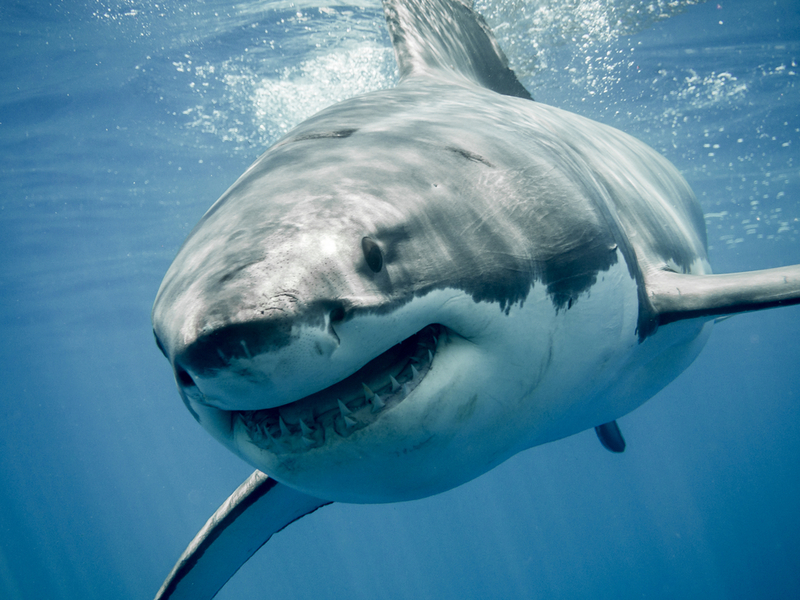 Are all open access journals predatory journals? Although predatory journals have open access articles, predatory publishing should not be confused with open access publishing (refer to PEN eNews: What’s the buzz about open-access journals?). 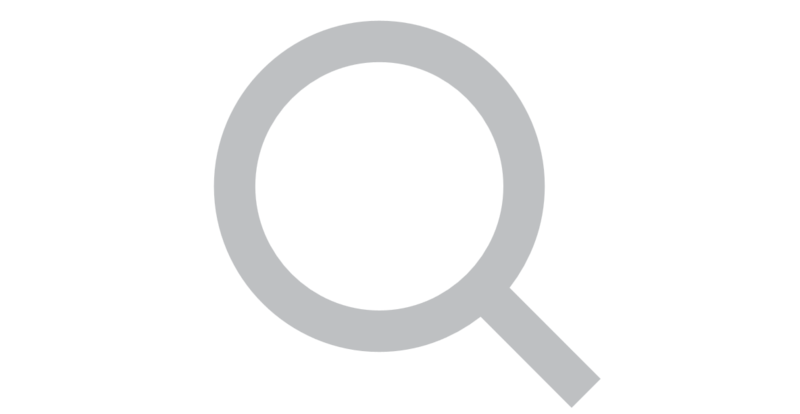 The Directory of Open Access Journals (DOAJ) identifies legitimate open access journals that use a quality control system (i.e. peer-review with an editor and editorial board). Legitimate open-access journals should also belong to the Open Access Scholarly Publishers’ Association (OAS-PA). How can predatory journals be stopped? 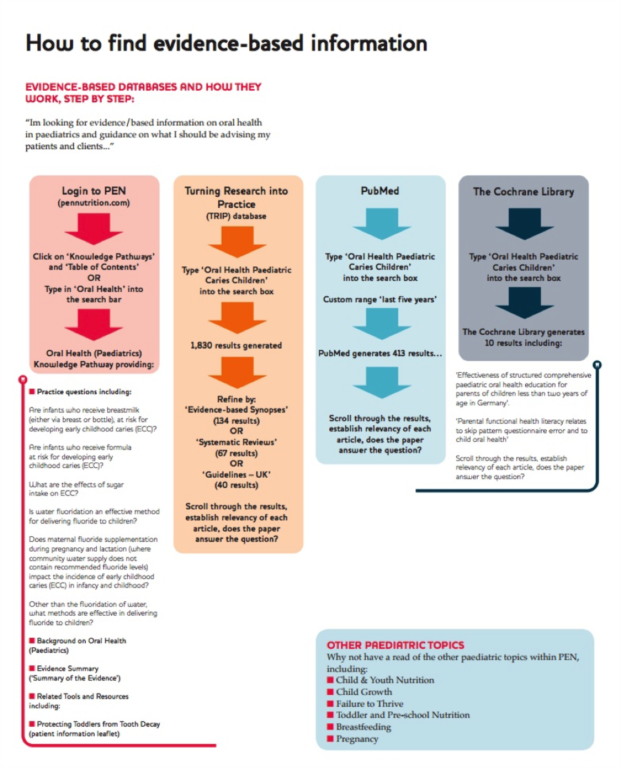 “Think-Check-Submit” initiative provides an easy-to-use checklist to investigate whether a journal can be trusted. WAME provides guidance to editors, researchers, funders, academic institutions and other stakeholders to distinguish predatory journals from legitimate journals (1). DAA was thrilled to recently award its third PEN Evidence-Based Practice Prize in 2017. This prize recognises strength and commitment to evidence-based practice in a practice setting, particularly in challenging circumstances. In 2017 the award was split between two deserving winners - Sarah Andersen and Adrienne Forsyth (on behalf of the DAA Mental Health Interest Group). Sarah’s winning application was for a project that began in 2010 when she identified that the existing nutrition support guidelines for the stem cell transplant unit at her hospital were outdated and poorly utilised. Sarah identified the lack of a consistent, multidisciplinary approach to nutrition support in this unit - and that this was an area that could be improved. The project begun with a review of the literature, then the evidence base was compared with the current protocols and practice at Sarah’s workplace to identify gaps and future improvements. After initially reviewing the literature and assessing current practice, a committee was established to revise the protocols. The aim of reviewing the nutrition support protocols was to ensure that the hospital’s practice was evidence based and to ensure appropriate commencement and cessation of supplementary feeding via improved adherence to a nutrition support pathway. The new nutrition support protocols were developed, implemented and evaluated – and have allowed a consistent, evidence-based approach to nutrition support. The protocol led to an improvement in patient’s oral intake, reduced the use of parenteral nutrition, improved team knowledge and dynamics and resulted in cost savings for the hospital. The Nutrition support pathway has been published in Clinical Nutrition (reference below). 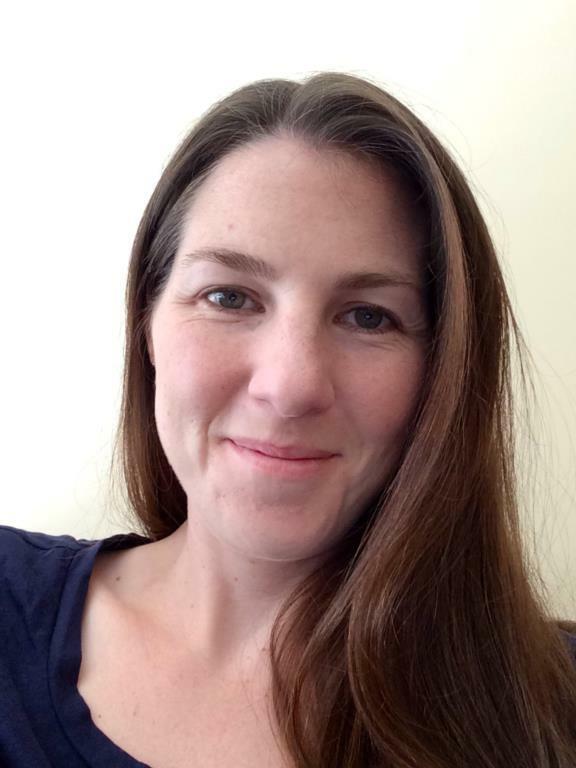 Sarah’s work shows how utilising evidence-based practice can improve services. Sarah has now identified a further gap regarding use of enteral nutrition and is now undertaking a randomised control trial looking at enteral nutrition and stem cell transplant. We look forward to hearing more about this research! Study reference- Andersen S, Brown T, Kennedy G, banks M. Implementation of an evidenced based nutrition support pathway for haematopoietic progenitor cell transplant patients. Clin Nutr. 2015;34(3):536-40. The second winning application was awarded to the DAA Mental Health Interest Group for their commitment to providing up-to-date evidence to support the practice of its members. The role of nutrition and diet in mental health conditions continues to be explored. The Mental Health Interest Group are a collection of dietitians working in and/or interested in mental health. The Interest Group Committee are actively ensuring its members are provided with the most up-to-date evidence to help guide their practice. This has been achieved through two key strategies, monthly research updates and contribution to the development of PEN content. The Mental Health Interest Group committee summarise each month any new evidence in mental health. This is done using standard search parameters and provided to all members. These updates help to provide busy practitioners with a summary of the latest research to guide their day-to-day practice. The development of PEN content has been a key focus of this Interest Group. Through the updating of PEN content, the Interest Group is helping to support practitioners who are working in mental health (both in Australia and internationally) to provide evidenced-based interventions to their clients. This group has been involved in reviewing a number of Knowledge Pathways and Practice Questions and have recently completed work on updating the ADHD knowledge pathway. To overcome the obstacle of recruiting volunteers to complete these reviews, the Interest Group has set up a process where PEN content is reviewed and developed by students under supervision. This has contributed to greater, more efficient output from the group. Both winners of the PEN Evidence-Based Practice Prize in 2017 are shining examples of supporting evidence-based practice, an important aspect of dietetics internationally. Are you an APD and think you could be the next PEN Evidence-Based Practice Prize winner? Apply now. Applications are currently open until 30 October 2017. See here for the policy and application forms (only available for DAA members). Dietitians of Canada recognizes the outstanding contributions of its members to the PEN® System with the PEN® Achiever (Canada) Award. We seek to acknowledge those who use their expertise to contribute to the evidence-based knowledge of the profession and demonstrate leadership in evidence-based practice. This year we were pleased to acknowledge Becky Blair RD, MSc. a collaborative, critical thinker who encourages others to adopt an evidence-based approach in their work. She takes tough stands on controversial health topics, challenging existing dogma and "asking for the evidence" behind passionately held beliefs. 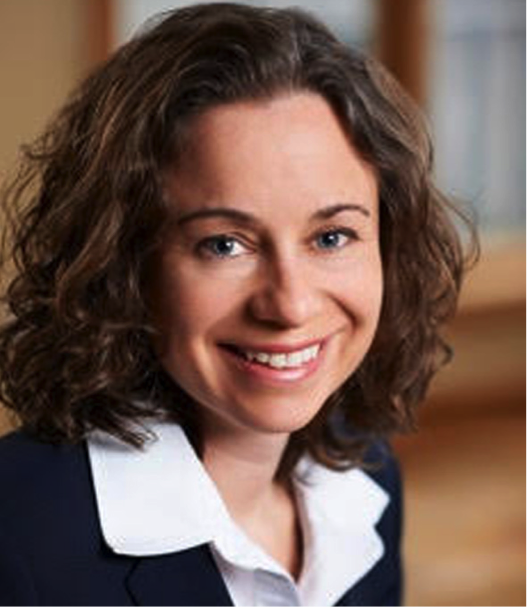 She is an excellent communicator and regularly draws on PEN evidence to inform her work in public health and as a DC representative to the Canadian Paediatric Society. Becky is great about alerting the PEN team to important topics/issues being faced in the front lines or important guidelines that should be incorporated into practice. She often volunteers to contribute to the PEN system or reviews PEN content produced by others in the areas of infant and maternal health. 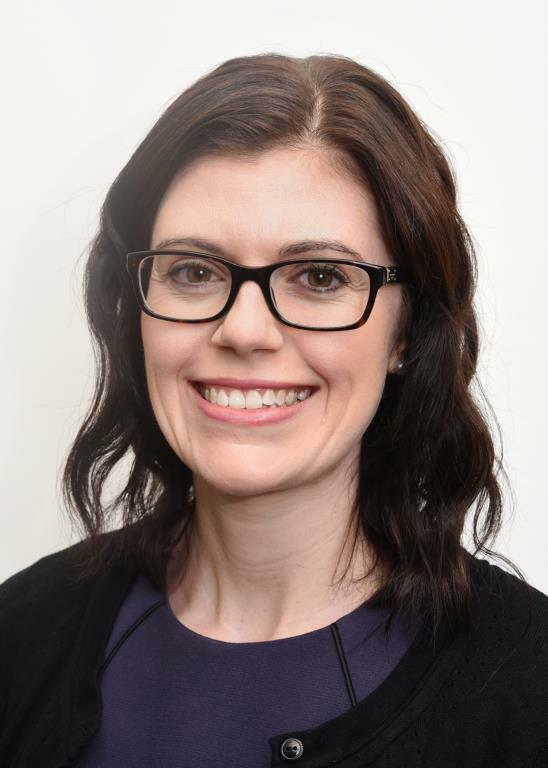 Becky is described by her nominators as a dedicated practitioner with a passion for using to evidence to improve the nutritional well-being of clients that is truly infectious. Becky, thank you for all your many and ongoing contributions to the PEN System. Innovator, Leader, and now Fellow! leadership in the profession of dietetics." support advocacy on the effectiveness of nutrition and dietitian services; she has supported the EatRight Ontario Dietitian contact centre with in-services and project coordination for the initial demonstration project as well as serving as Journal Editor for the Canadian Journal of Dietetic Practice and Research for almost 20 years. 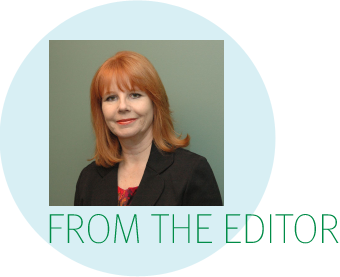 She has also contributed to the Canadian Foundation for Dietetic Research serving on abstract review committees and recently on the Scientific Advisory Committee. 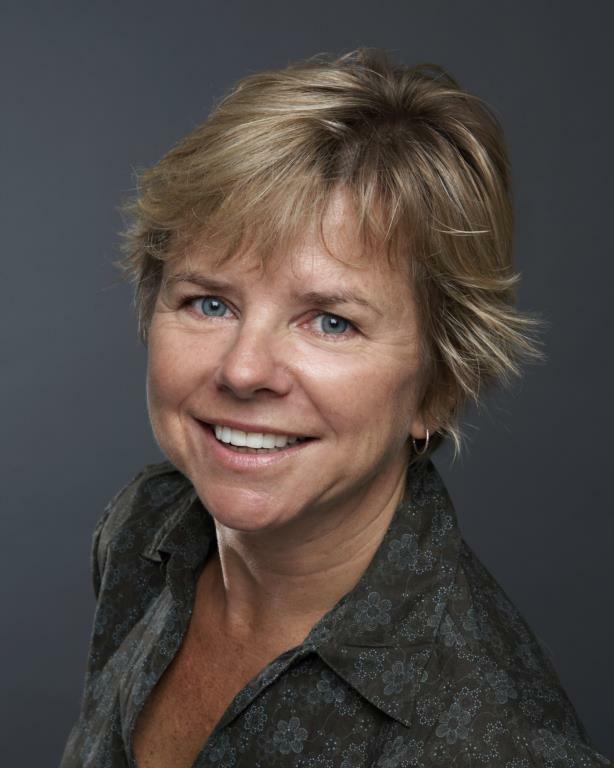 Through her work with the PEN team, Dawna has helped shape the critical appraisal standards for the PEN System, contributed to vast amounts of evidence synthesis on many topics over the years and mentored countless volunteer and staff authors on how to find, appraise and synthesize the evidence for the PEN System. If you have been a regular reader of PEN eNews and use the PEN System, you are likely very familiar with narrative reviews, systematic reviews and rapid reviews and their pros and cons. This article is the first in a series where we will profile some other types of reviews you may be less familiar with, such as: mapping reviews, critical reviews, mixed methods reviews, scoping reviews, state-of-the-art reviews and umbrella reviews. Many of these types of syntheses include reviews of both randomized controlled trials and observational studies in the same paper. These reviews can help show us when, if and how evidence from both types of studies complement each other and help answer questions and guide practice and policy decisions. Reviews are some of the most highly sought out articles (1) and we use them extensively in PEN to summarize research. We particularly rely on systematic reviews and meta-analyses. However, one characteristic of meta-analyses that is both a strength and a limitation (depending on your query) is that only one type of study can be included thereby narrowing the scope. In a meta-analysis, studies need to be very similar (with respect to population, intervention, comparison and outcome and also how the outcome was measured) in order to properly pool results. This is important to ensure rigour in the analysis. However, this process eliminates other types of studies that are not necessarily weaker or non-informative but just use a different research approach or look at a different piece of the overall puzzle. How can this information be captured? The following types of reviews that we will highlight in this article series will show us exactly that. When done well, most reviews tend to have a broader scope but yet can still be systematic in their methods and use critical appraisal methodologies (1). To set the stage and whet your curiosity, below we have briefly described the review types we will be profiling and have provided a citation example for each. If you follow the PubMed links in the references you will be able to access the full text of each of these examples. Mapping reviews – this type of review maps out a topic/theme/factor of interest in existing literature and identifies trends and gaps. The search can be systematic and both qualitative and quantitative research can be reviewed with findings grouped into clusters or concept maps. See Langøien et al (2) for an example. 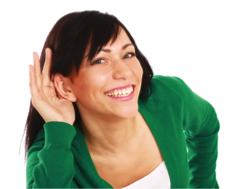 Mixed methods reviews – this type of review adopts more than one type of review methodology. For example, the review may consist of a systematic review, but also contain a summary review of the results of stakeholder interviews or some concept mapping. See Shepherd et al (3) for an example. Critical reviews – in this type of review there is an extensive search of the literature, not limited to one type of study. There is a critical evaluation of the collected literature. It can compile the results of multiple other reviews (including systematic reviews) and even include a small meta-analysis of its own. See Reidy et al (4) for an example. Scoping reviews – this type of review provides an overview or preliminary assessment of the size, scope and type of literature available on a topic. The scope is not limited to one type of study design. See Lentferink et al (5) for an example. State-of-the-art reviews – this type of review tends to focus on significant developments in the research area and has a stronger emphasis on more current research. It can resemble a narrative review, or it can be very systematic in its development. It may also include clinical experience. The paper tends to get right into the topic as opposed to containing a section that describes how the search and review was executed. Review subheadings may consist of epidemiology, pathogenesis/potential mechanisms, clinical features and implications and areas for future research. See Cohen et al (6) for an example. Umbrella reviews – this is typically a review of many reviews and is not limited to one type of study design or intervention. It is systematic in its methods, but also broad in scope and can provide a more complete picture on a condition or issue. See Li et al (7) for an example. One thing to note is that most of these review types, and systematic reviews as well, are not mutually exclusive (1). There can be overlap in methods and presentation. Additionally, as with any publication, quality is not guaranteed just because it is a certain “type” of review. Quality will depend on how well the review was executed and the quality and strength of conclusions in the review is limited by the quality of the original studies that the review is citing (1). We look forward to delving deeper into each of the six aforementioned types of reviews over the coming months with our readers. Dietitians Day 2017: Time to celebrate being an Accredited Practising Dietitian! Dietitians Day is fast approaching! Join us, 19 September 2017, to celebrate our profession, and the role dietitians play in supporting people to live healthier lives, through good nutrition. While in previous years we have celebrated Dietitians Day in May, this year, the Dietitians Association of Australia is joining our friends from the Asian Federation of Dietetic Associations, and Dietitians New Zealand, in celebrating Dietitians Day on Tuesday 19 September. We have almost 300 members living in the Asia-Pacific region, and this is a great way to support and connect with them! We’ll be rolling out a toolkit of resources for our members to use and share with colleagues and fellow dietitians, including an e-card and tiles to post on Facebook, Twitter, Instagram, and LinkedIn. Just like in 2016, we’ll be encouraging members to hold catch-ups with their dietitian buddies, to celebrate being an Accredited Practising Dietitian! Keep an eye on our social media channels too and show your support by liking and sharing our Dietitians Day content, using the hashtag #DietitiansDay. PEN® Tools to support your PEN® experience! Whether you are new to the PEN System or a seasoned user, take a few minutes to learn more about all the PEN System has to offer! 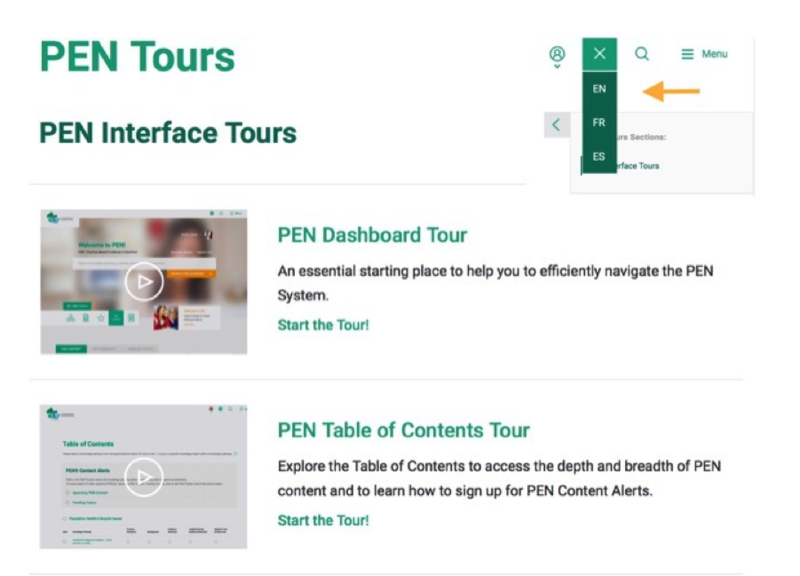 Depending on your language of navigation in PEN your Tour will be in the same language (orange arrow). 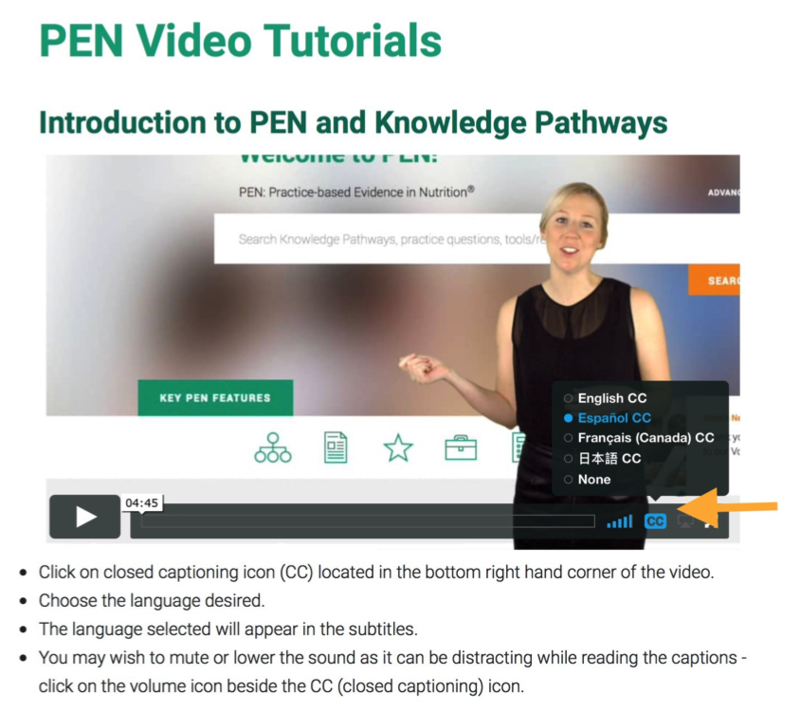 They are available in English with close captioning (CC) subtitles in French, Spanish and Japanese for our growing international PEN community. Depending on your language of navigation in PEN you will see the titles of the video tutorials in the same language. By clicking on the blue CC as in the screenshot below (orange arrow) you can access the sub-titles in the language you desire. We hope these tools will help support your PEN® experience! We asked, you gave feedback, and we are listening! In the spring of 2017 the PEN team decided it was time to get feedback from our users on the tools used to present the evidence in PEN with the objective of making changes based on the feedback. In addition to the Contact Us on the PEN website, where PEN users can always give feedback, we created three opportunities for user feedback. Here is a sneak peek at what we have learned so far. 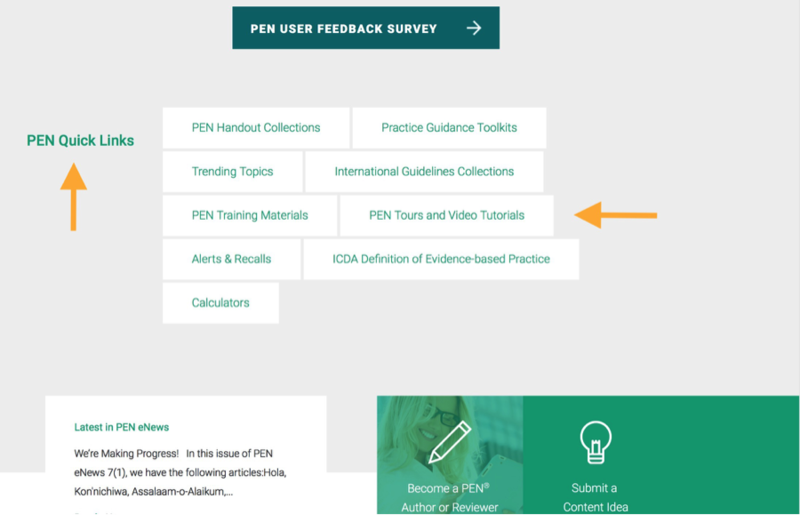 PEN User Feedback Survey - has been linked from the Home page of the PEN website since May 2017. At the time of writing we have had more than 100 responses from all partner associations and other international PEN users. some content is out of date and we are working on that….. there are over 1100 questions in PEN – that’s a lot of updating! finally when asked if they would recommend PEN to a colleague 85% said Yes! Thank you to those who took the time to complete the survey. Watch for future articles in PEN eNews on how we are using your feedback. General – all participants said that until they had completed the focus group pre-work assignment, they weren’t aware of all of the PEN features. Evidence Summaries - all mentioned they were valuable. PEN developed handouts (Canada) - recommended a shorter, lower literacy version of some of them. Trending Topics – very well liked and wanted more, although the separate classification of articles weren’t well understood. As a result of the feedback, all articles will now simply be called Trending Topics. Toolkits were found to be particularly useful for new dietitians and for all dietitians when writing problem, etiology, signs and symptoms statements (PES). Searching for tools and resources – participants aren’t always able to find what they are looking for. We are looking at number of strategies to help you find what you need. We gathered lots of information to guide decisions for improvements and efficiencies and we are continuing to gather feedback from users across the globe! PEN Pop-up Surveys just became active at the time of writing. They can be found on certain Toolkits and Background documents that are frequently used. The survey is short – only three questions. They will be functional for a while but we may change which Toolkits and Background documents have the survey functional over time. The survey opens in a new window so it can be completed after users read or explored the tool. User IP addresses are recognized so one shouldn’t be asked to evaluate a Toolkit or Background document a second time. When asked, please say YES to the survey! Have more feedback? You can always use the Contact Us on the PEN website. Can you remember a published health study that didn’t report at least one P-value? You’d be hard pressed to find one. P-values are likely the most commonly-reported statistic and the one that many health professionals are comfortable with. Yet statisticians and epidemiologists report that they are the most misinterpreted and misunderstood index in biomedical research (1). In February 2016, the American Statistical Association issued a statement on statistical significance and P-values, due to their concern that the misunderstanding about P-values is contributing to the increasing “doubt about the validity of science” (2). The statement emphasizes that a P-value by itself provides limited information and that good statistical practice should incorporate a variety of ways to summarize and interpret data. Is the P-value small because the sample size was very large? Alternatively, was the p-value large (and not “significant”) because the sample size was too small? Is the research free from bias? How confident are we that the finding is not just due to random error? How many statistical tests were done? Was there multiple testing? Does the treatment make a difference of sufficient magnitude to be important to people? (Is it clinically significant?) What is the size of the effect? How wide is the confidence interval and what possible results are included within it? In 2014, Nuzzo (5) published a short article in Nature entitled: Scientific method: Statistical errors, which went on to become one of the most highly viewed and commented on articles in Nature’s history. It tells the story of the P-value in terms of its history and how its use has led us to stray so far from its intended purpose. It's a short article and worth reading. P-values are highly reliant on the study’s sample size. A small and clinically unimportant treatment effect can be statistically significant (small P-value < 0.05) when the sample size is large. A large treatment effect is not likely to be “statistically significant” with a small P-value if the sample size is small. Flaws in how research is designed, conducted, analyzed or reported can lead to over or underestimation of the true effect of an intervention which is referred to as bias. Bias may be the actual cause for the effect observed and not the treatment. The existence of bias does not mean that the researchers meant to alter the study findings, although this can occur. Bias is more likely with some study designs (observational vs RCT) but can be introduced in careless design or conduct of any study, such as during the selection of control groups, by using randomization protocols that can allow the investigators to influence which group participants are placed in, or from lack of control of confounding variables. For more information on bias and how to assess it, see Cochrane Risk of Bias tool. Random error refers to the differences in results due to chance alone. By chance, some P-values are small for relationships that are not important for health. To assume that there is an important relationship because of the small p-value can be an incorrect conclusion. This error is sometimes referred to as a type 1 error, and its chance of happening is equivalent to the P-value, usually 5%. 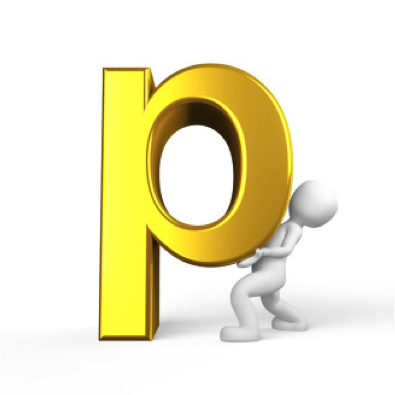 P-values are sometimes used to identify “associated” relationships in databases and when a large number of statistical tests are performed in a study. This procedure is referred to as “fishing expeditions” because many associations are tested for instead of testing pre-specified hypotheses. Sometimes studies assess dozens or hundreds of associations. In doing this, by chance alone you will find a statistically significant result because by definition, P-values <0.05 are likely to be found 5 times in 100 tests. Sometimes new and important findings are discovered through these “fishing expeditions”. However, this practice is generally frowned upon. The best practice is for researchers to only conduct a limited number of pre-determined tests to answer their research question(s). Clinical Significance or ‘How much of an effect? Whether a treatment makes an important, difference to people is a key question. To answer it, we need to examine the “effect size” of the summary statistic that estimates the differences in effect of the treatment on the particular health outcome. The effect size may be summarized as a mean or average difference, risk difference, risk ratio, relative risk, rate ratio, hazard ratio, odds ratio or other statistic. The effect size indicates whether the treatment is likely to make a difference that people would “perceive as beneficial” (4). A clinically important effect size can be statistically significant in one study, but not in another. The clinically important difference (effect size) is the one that matters for health outcomes. To judge clinical relevance, ideally one must use health knowledge to determine if the observed difference is important and relevant to health. If a diet change altered blood cholesterol levels by 0.1 mmol/L and this was “statistically significant according to P-value, this would not be deemed as an important difference. In a case like this with a very small effect size, it would be incorrect to rely solely on statistical significance to determine the importance of the finding. If you are uncertain about what is an “important difference”, there are cut off guidelines for various effect size measurements which can help you make decisions about what effect sizes are clinically important (6). In practice, we must also consider costs, convenience and side effects when applying research findings to clients or patients. The P-value and effect size alone are not enough for making clinical decisions. The width and placement of the confidence interval helps us to understand how confident we can be that a treatment makes a real difference. A confidence interval, which is often reported just after the effect size (mean or ratio of effect) in research papers, is an estimate of the range of the likely true effect of the treatment in the population of similar people to those studied (4). Usually 95% confidence intervals are used, which refers to the degree of confidence that the true effect is within the true effect range 95% of the time. How wide is the confidence interval? A wide confidence interval suggests that the effect may range from a big effect to a small one or no effect at all, which does not give much confidence in the finding. In contrast, a narrow interval increases confidence that the study is providing a precise answer. For example: Triglycerides: mean difference of 0.34 mmol/L with a 95% CI, 0.32 to 0.36 mmol/L is a narrow CI since both sides of the confidence interval are very close to the value of 0.3 mmol/L. This gives us confidence that the true effect is likely about 0.3 mmol/L. In contrast, an odds ratio = 2.8, 95% CI, 1.2 to 6.4 is an example of a wide confidence interval since the interval extends from a value that is close to the null value of 1 up to a value of 6.4. The value close to the null value suggests there may not be any effect, while the estimate of 6.4 suggests a very strong effect. The latter means that people with the exposure were over six times more likely to experience the outcome than those who were not exposed. This confidence interval would not give you confidence that you are measuring an important effect. Where is the confidence interval? The treatment produced results that were not statistically different (similar information as provided by the P-value). The results show that the treatment may have had an important effect. If the effect size suggests an important difference and the confidence interval is not close to no effect, then the treatment may make an important difference. Note to our readers: We plan on sharing more tools to interpret confidence intervals in an upcoming PEN eNews article. Conclusions derived from just looking at a P-value provide only a limited understanding of the research results. It is more important to ask the question: does the research show that this treatment results in an important difference? You can learn more about the clinical importance of the treatment if you examine the effect size and confidence intervals. The effect size and confidence intervals provide more information on whether the treatment is likely to make a difference that people would perceive as beneficial and important to them. This article was originally printed in Dietetics Today, a publication of the British Dietetic Association in July, 2017. It has been adapted here with permission. Each topic in the PEN system is collated under a ‘Knowledge Pathway’. 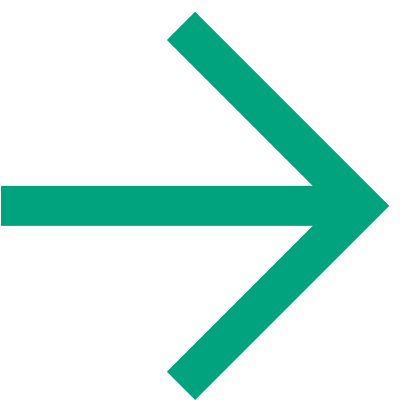 Each 'Knowledge Pathway' is separated into different sections (similar to an online version of chapters in a text book). The PEN System has the evidence you need at the click of a mouse! This article was originally printed in Dietetics Today, a publication of the British Dietetic Association in July, 2017. It is reprinted here with permission. The theory behind Leaky Gut Syndrome is that the tight junctions in the GI tract (which control absorption of substances) do not work properly, leading to compromised gut-barrier function and increased intestinal permeability. Increased intestinal permeability is associated with an increased inflammatory response. Whilst this can be present in those with specific medical conditions such as Coeliac and Crohn’s Disease or those receiving chemotherapy or radiotherapy, this is not applicable to the general healthy population. However, increased awareness of the associations between increased intestinal permeability and ill health in specific circumstances has led many people to believe that ‘Leaky Gut Syndrome’ is a valid diagnosis. Leaky Gut Syndrome’ is often attributed to many systemic health problems and symptoms such as joint pain, eczema, chronic fatigue syndrome and a number of auto-immune conditions. Because there are so many health conditions that can be explained by Leaky Gut Syndrome, it’s an easy diagnosis. Whereas in fact, a false diagnosis often misinforms vulnerable individuals who simply want an answer to why they’re feeling the way they are. Worryingly, the ‘treatment’ for Leaky Gut Syndrome is…you’ve guessed it…fad diets! Gluten-free and low FODMAP diets are also popular so called ‘solutions’ in addition to supplements and herbal remedies. In a nutshell, Leaky Gut Syndrome is speculative and an unverified condition. There is no high-quality research supporting the theory of Leaky Gut Syndrome nor that it is the direct cause of widespread health problems. 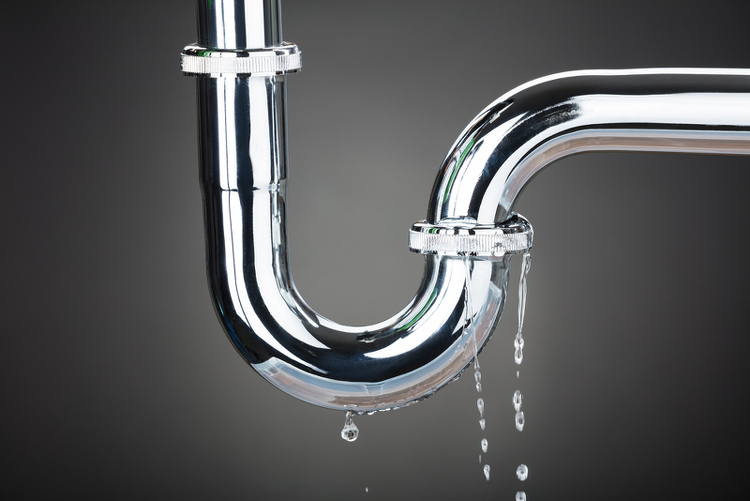 Have a read of the Are Your Clients Asking About "Leaky Gut Syndrome"? Trending Topic on PEN for more information and some useful links which go into more depth about the misconceptions surrounding Leaky Gut Syndrome. Here is the next collection of Knowledge Pathways that we are planning to add or enhance in the near future. Guiding Principles for Developing Dietary Reference Intakes Based on Chronic Disease PEN is pleased to see GRADE will be used to develop future DRIs! Our friends at Sense about Science sent this to me and I wanted to share it with you! Do take a moment to view the short but inspiring video. “On 21st June 100 citizens from across Europe went to the European Parliament to tell their MEPs that evidence matters to them. The stories they told demonstrated just some of the reasons why evidence becomes important in people’s lives. It really hit home with the leading parliamentarians who were there to listen to the citizens. See the citizens and the MEPs’ responses in a 2 minute video from the day. Global Evidence Summit – Using Evidence. Improving Lives.